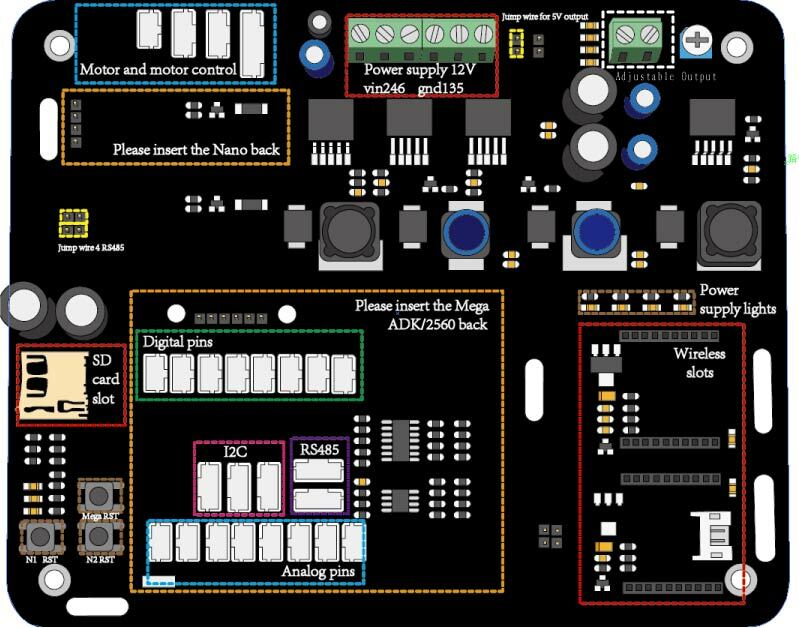 This is a generic mobile robot control board. 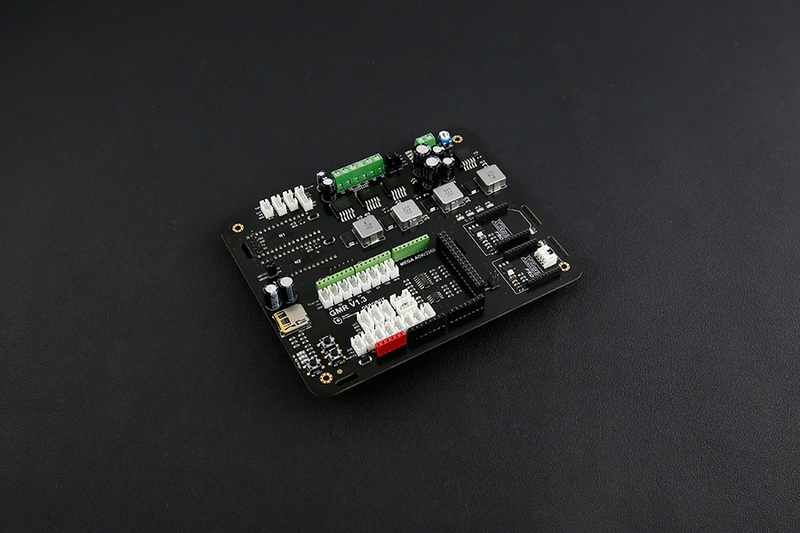 The GMR board supports up to 3 microcontrollers, two Arduino Nano and one Arduino Mega or Mega ADK. One of Nano is used to control the motors and their encoders, the other is used to drive 6 URM sensors. The Main microcontroller is the Mage or Mega ADK, it is used to collect the date and work out the control logic. The GMR has two wireless slots available which allow Xbee, blueteeth/Wifi to be used at the same time. 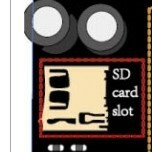 Note: The lastest version has been compatible with the newest Arduino Nano V3 & V4. 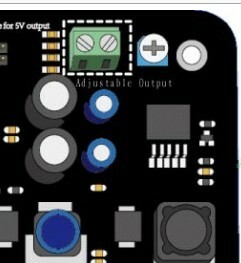 This part includes some I/O pins of one of the Nano controllers which could be put into the GMR. 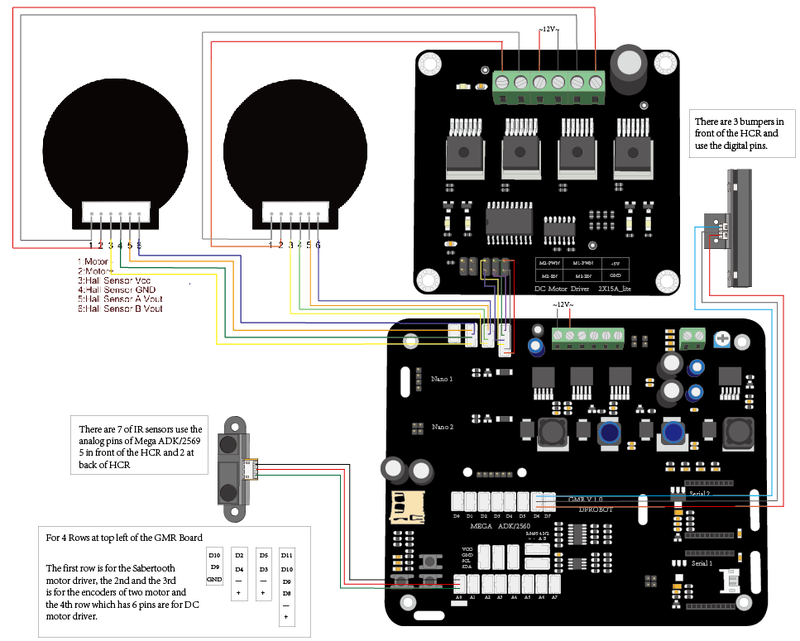 The users can use them to connect the encoder and two kinds of motor controllers, D10 and D9 with a GND pin can be used for Saber tooth motor controller another 6pins together D9 D10 D8 with VCC and GND used for DC Motor Driver 2×15A - Lite D2 –D6 are used for the encoders. There are 2 Nano slots on the GMR. For general mobile robot, this two micro controllers can help you to solve the motor control and driver some special sensors. 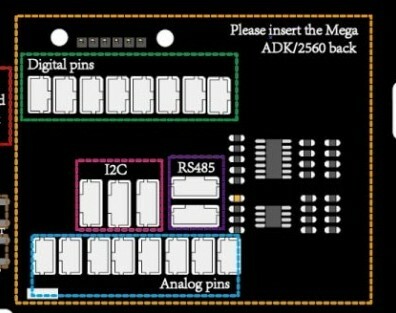 And they all have connected with the main micro controller Mega ADK or Mega 2560. The communication way is the I2C. 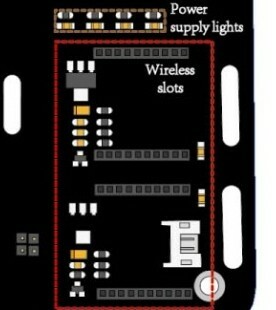 Two wireless slots available which allow Xbee, blusteeth/Wifi to be used at the same time. On board Nano2 is connected to the I2C stream, and (with jumpers plugged in) to the URM sensors via 485 protocol. GMR board integrates a 485 protocol encoder/decoder, and our URM ultrasonic sensors are also capable, thus allowing for an array of Ultrasound sensors to be connected. 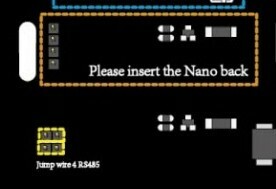 Nano on socket 2 will then process this information accordingly. 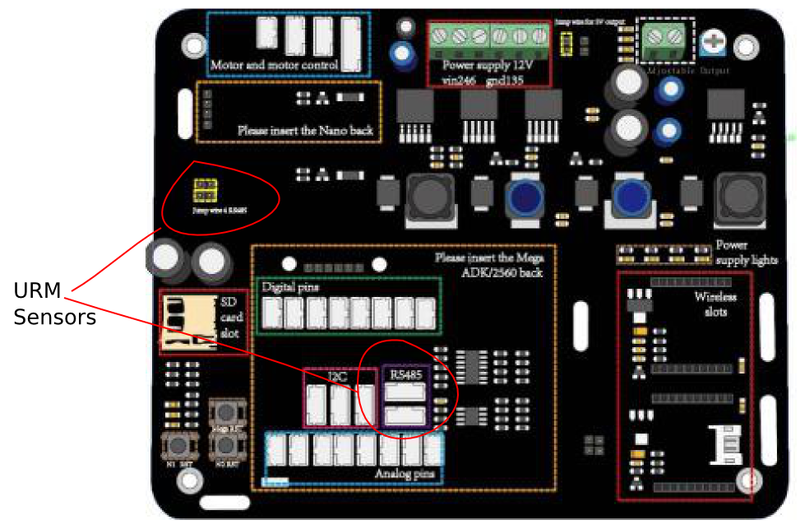 If you wish, you can unplug the jumpers and directly connect 485 with jumper wires, to other pins, Allowing a different controller to drive the Ultrasound sensors. Get GMR - General Mobile Robot controller from DFRobot Store or DFRobot Distributor.